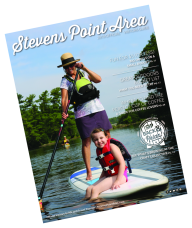 Mild fall temperatures, changing leaves and migrating wildlife – all great reasons for you to visit a nature area right now in the Stevens Point area. Here’s where you should go. 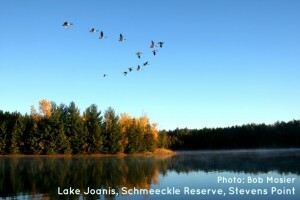 Schmeeckle Reserve, Stevens Point. A 280-acre natural area on the UW-Stevens Point Campus. Features five miles of trails, the pristine Lake Joanis, and a diverse habitat that is home to more than 200 species of birds and 33 species of mammals. Buena Vista Grasslands, Wisconsin Rapids. One of the most extensive grasslands east of the Mississippi River. Hosts the largest concentration of greater prairie chickens in Wisconsin, as well as a number of other grassland species like Henslow sparrows, short-eared owls and meadowlarks. George Mead Wildlife Area, Milladore. 33,000 acres of land make this the third-largest wildlife area in the state. 268 species of birds have been observed here.